For many years we have been told that time-outs are the kindest and most constructive way to discipline or teach children to be good and sort out problems with them. But are they? Today many parenting experts and psychologists say that time-outs create more problems than they solve and that there are better ways of calming children down and getting them to behave well. 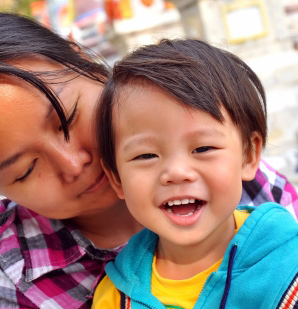 Today’s parents are under increasing pressure to cope with their children’s needs for constant loving connection and the demands that life places on the parents at the same time. Flare-ups between parents and children often happen at high-stress times. Parents may be feeling worn out and exhausted from a hard day at work. Children may be stressed from a day at playschool away from the parents they need so much and be badly in need of love and attention. If they don’t get it, they may start acting up, just at the time when the parents are least able to cope with it. Parents often reach the end of their tether when children misbehave, and don’t know what to do. They rightfully don’t want to harm their children by hitting, slapping or shouting at them, so in desperation, they may order a ‘time out’. The child is banished to a stool in the corner or sent to her room for a certain number of minutes, and told not to come back till she has managed to ‘calm down’ and ‘behave’ better. ‘Misabehaving’ children, are usually children who are unhappy, stressed or not getting their needs for love and focused attention met”, says developmental psychologist, Aletha Solter. “Children are not very eloquent about expressing their feelings verbally, so they tend to show their upset feelings through their behaviour”. They may be angry, whine and cry, pick fights with siblings, etc. Time-outs are an attempt to change the ‘behaviour’ of the child, but don’t allow either parent or child to find out what caused the behaviour. So behaviour is changed in only very superficial ways, and the underlying problems are not addressed or resolved. Time outs involve the withdrawal of love and contact with us at a time when children most need our assistance. When we cut off all communication with them they feel abandoned and rejected and have no way of re-establishing contact to express what upset or frustrated them, or get help. This means they are unable to resolve the problem that caused the behaviour for which they are being punished. The rationale for ‘time outs’ is that they help the child to ‘calm down’, and give him time to ‘think’ about his behaviour. But sadly they do neither. Children are afraid of us withdrawing our love and support, so the child may manage to act in a more docile way as an attempt to regain his parent’s love. But he is actually left in a state of inner turmoil, because he has been rejected and made to stuff his feelings down, rather than being allowed to express them and work them through by being listened to. Most of all he loses the loving connection with the beloved parent. It is also hard for children to ‘think’ about anything at such a time. When we are upset we are not able to think rationally until someone gives us loving attention, shows that they care that we are upset and helps us work through the underlying feelings. When that is resolved, we can think more clearly and that’s what we need to help children be able to do. “Proponents of time-out claim that time-out is not a form of punishment”, says developmental psychologist, Aletha Solter. “They use terms such as ‘consequence’, ‘renewal time’ or ‘down time’ to make the approach sound benign. The term ‘time out’ has pleasant connotations of a sports team taking a well-deserved break. Regrettably, the non-threatening terminology has deluded parents into thinking the approach is harmless. But from a child’s point of view, time out is definitely experienced as punishment”. It helps to remember that children who are ‘acting up’, are children who are, frustrated, upset, hurting or needing more love and attention. What they most need at that time is for us to be ‘there for them’ totally, providing a safe space for them to be able to express their feelings and resolve whatever is upsetting them. Just as we need someone to be there and support us when we are at the end of our tether, so do children. So instead of saying, “Stop that crying or I’ll give you something to cry about”, we can rather say, “I see you are upset about something”. Hearing that they are understood is the best way of calming children down and resolving problem behaviour by making them feel safe, loved and secure. Be firm but loving and listen to what your children are trying to tell you through their behaviour. That makes them feel better, and when children feel better they behave better. Before you can calm your child, you need to calm yourself. “Take a deep breath and hit the pause button”, says psychologist Laura Markham in her book Peaceful Parent, Happy Kids. Once you have calmed down enough, you will be ready to be there for your child. At that point, re-establish contact, and try to find out what it was that caused the problem. Very small children often can’t describe their feelings, but we can help them by making inspired guesses. “When you screamed, it sounded like you were very upset about something.” It helps your child to know that you understand how he felt when he sent out a very strong emotional distress signal. “I saw you crying and slapping Marc when he grabbed your car away from you. It must have upset you when he did that”, let’s your child know you understand why he did what he did. Of course slapping is not allowed, but it helps children know we understand what drove them to do what they did and there is always a reason. “It sounds like you are feeling tired and frustrated. Would you like a hug?” Sometimes hugging and holding children calms them down better than any words can. Once you have the child’s attention, and have managed to calm him down enough to be coherent, let him express his hurts, frustration or anger if he wishes. Even if he is unable to tell you what the problem is with words, the fact that he can express his feelings and have them accepted is enough, says parenting expert, Pam Leo. When we are allowed to express our intense feelings and have them accepted, we are able to resolve them and let them go. Also it helps to understand that when children are angry it is because they are hurting. (See article on “Toddlers and Tantrums”.) If we let them express the anger, the hurt that is underneath will come up, and we can make it safe for them to have a good cry in our arms. It’s the tears that heal. As Pam says, after we have let the child get all their upset feelings out we experience what she calls “the rainbow after the rain.” Children become happy, cooperative, loving and delightful to be around. If your child is having a melt-down, and you know you are about to have one too, it’s time to take a deep breath, allow yourself to get into touch with your feelings and calm yourself down. Try to stand back for a moment and think how you would like to be treated if you were in the child’s shoes and were feeling the way he feels. Children respond best when we are calm but firm, and don’t raise our voices too often. We need to pause for long enough after making a request, to give it time to sink in and for the child to respond. Physical touch often calms a child much more effectively than words ever can. With a little one, you can pick him up and hold him, and with an older child, put your hand on his shoulder or offer a hug. Children whose parents use firm guidance rather than punishment, will learn to be kinder and more understanding towards others, because they will copy their parent’s way of handling them. They will probably get on a lot better at school and in other social situations as a result. Remember that children are social little people who want to please us and have us love them. When they act out it is because they can’t cope with the pressures that are on them, or because their basic needs for love and touch are not being met, so they ‘blow up’, or ‘melt down’, just like we do when we are overstressed. When we let them express their intense feelings, including crying and raging, and reassure them that we love them anyway, they are no longer overwhelmed by their inner conflicts and able to become more calm and cooperative. What happens if ‘WE’ need to take time-out? If the parent is alone and without support, they can sometimes feel overwhelmed and need some ‘time-out’ too. If you are too tired and stressed to cope yourself, it helps to have a plan of action to assist you, so that you can become calm and cope better. Remember that when you feel like blowing up, you may not be able to act rationally in the situation. It is okay to know you have the right to ask for some ‘time-out’ for yourself. Reassure your child that your withdrawal is not because he is bad, but because you need some time on your own to calm down so that you can come back and sort out the problem together. If you have support at home, tell the other person that you need some time to cool down, and ask him or her to take over for a little while so you can get enough quiet time alone to unwind and recharge your batteries. Parents who are able to take care of their own needs, are better able to take care of their children’s needs. Remember there is no such thing as being a ‘perfect child’ or a ‘perfect parent’. Children just need ‘good enough’ parents who can let them express the full range of their feelings, and be listened to with love, compassion and understanding. When they get that, they blossom and thrive! What we need to teach children is that when there are problems, people get together and work them out, says psychologist Alfie Kohn. This teaches them problem-solving skills that will serve them well as they grow up. This entry was posted in Toddlers and tagged aware parenting, child, childrearing, comfort, communication, conscious kids, gentle discipline, happy toddlers, parenting, time out, time-outs, toddlers. Bookmark the permalink. A safe environment is important so that they cannot hurt themselves or others especially siblings… in the end it seems that when the tantrum runs its course the child is tired and contrite… not liking his own behavior and in much need of a hug at that moment. Hi Lorette, It’s always lovely to hear from someone who “gets it”! Yes, it really is hard to be there for little ones when we are stressed out too. You mention the tantrum running its course (so important!) and the child feeling “contrite”. I think in that regard we can reassure children that there are no such things as “bad” feelings, just feelings. Basically we have no control over what we feel, only what we do, so all feelings are good, even anger, because it is the emotion we have been given to protect ourselves and make sure we are not abused by others. So I think we can let children know that all their feelings are good and that they can feel comfortable and good about the fact that they are able to express them all — bad, sad, mad, glad and scared. They are all good when we can express them, but they all do damage if we are made to hold them in. I totally agree with this post. And I totally disagree with posts that say the opposite. And it’s not this post I’m talking about, really, it’s all posts, but I do wonder whether it would be possible to include references in discussions like this? The whole parenting thing seems to be two implacably opposed teams knocking lumps out of each other (AP versus Gina Ford, whatever the dichotomy is) but nobody ever actually presents any evidence. Books are a little better but even they often include very vague referencing and link to academic publications which don’t unequivocally support the position of the author. I blog myself and I’m just as guilty but I do wonder whether there are 5 or 10 seminal papers that would actually stand as good evidence in these debates. Maybe the psychologists quoted in this piece could oblige? Hi Chris, I have worked in the field of psychotherapy all my life, and seen adults reliving the trauma of “time outs” in therapy, over and over. In addition I spent years in therapy dealing with this trauma in my own life, but that is all anecdotal. I am not sure if you would find many papers on “time-outs”, but would probably glean the information from papers on parent-child attachment, and the rejection of the child’s feelings by the adults in their life. I do know that time-outs were made illegal in New Zealand about a year ago, and that must have been based on some kind of study (maybe you can google it). Meanwhile, Dr Aletha Solter’s page has some information on time-outs on her site, as well as a list of articles she has had published in journals. Here is a link to the site: http://www.awareparenting.com/ In addition she has links to other helpful sites. Another organisation you might find helpful is the “Alliance for Transforming the Lives of Children”. They can be googled. Dr Allan Schore Ph,D UCLA department of medicine. He has done many learned articles on childrearing, and many studies. Dr Jaak Panksep Ph D Washington State University; Head of Affective Neuroscience Research, Chicago Institute for Neurosurgery and Neuroresearch, Illinois. Hi Chris, A few more thoughts. I think that any relevant research would be found among psychologists doing “attachment theory”. We know that when children feel securely attached (connected) to the parent they flourish, but that if they are punished, trust is broken and there is a parent-child “disconnect”, which leaves the child feeling misunderstood and insecure. Mary Ainsworth did some work in the past on the difference between “secure attachment” and “insecure attachment” between parent and child. Others have done follow-up work, and googling might give information. Terms I have heard used are “anxiously attached” and “ambivalently attached” among others. Insecure attachment leads to fear and insecurity, while secure attachment leads to confidence and feeling of self-acceptance and self-worth. Hope this helps. I did look at Aletha Solter’s page, but none of the research was relevant to time outs. Although what you say about attachment is true, it’s far from clear to me that time-outs lead inevitably to insecure attachment, nor even that they increase the probability of it. In fact if I’ve observed anything in my life it’s the opposite, lots of securely attached children who are given time-outs. I’m not sure your experience of being a therapist is that relevant really because by definition you are seeing people who are seeking help. And you have not measured the amount of people who seek therapy for another reason but don’t mention time-outs. I have a PhD in psychology myself and as I said in my comment it is my belief that what you write is true. I do feel that we perhaps all need to admit though that actually we have no idea what the long term effect of time out is, and we must accept the basic fact that we all know many children who live very happy fulfilling lives but are also given time-out. I’m parenting based on faith. Faith in love and its healing and strengthening powers. But who knows? Maybe Gina Ford is right. We really need some science to find out. Hi Chris, A lot of my knowledge come from my own personal experience, though that is not a statistic, it has given me a deep understanding into the problem. But when working with parents who have problem children, we have managed to stop them giving time-outs, or punishments of any kind, the results have often been little short of miraculous. Children behave well when their underlying needs and feelings are “listened to” and they feel safe in a loving, secure connection with their parents. When the connection is broken, children start to become insecure and may also become either passive losers or rebellious. There are three kinds of parenting, as you will know. Authoritarian, Authoritative (Democratic) and Permissive. “Time-outs” fall into the category of “Authoritarian” parenting which has given us several generations of severely damaged people, which is why the world is in such a bad state today. The planet is populated with millions of deeply disturbed people, due to the dysfunctional way they were raised. Thank heavens that today’s parents are starting to question the way they were raised, and beginning to raise their children differently. It is long overdue. Dr Laura Markam has recently written a book called, “Peaceful Parent, Happy Kids, How to Stop Yelling and Start Connecting”, which along with Pam Leo’s “Connection Parenting: Parenting Through Connection instead of Coercion, Through Love instead of Fear”, and Naomi Aldort’s book, “Raising our Children, Raising Ourselves: Transforming Parent-Child Relationshiops from Reaction and Struggle to Freedom, Power and Joy”, outlines the new consciousness that is entering the parenting arena. I think you would also find Robin Grille’s “Parenting for a Peaceful World”, an interesting read. Robin Grille has just sent me the official position papers on “time-outs” from the Australian Association for Infant Mental Health. Thanks Robin! That paper is very helpful, thank you. I wish they could cite inline properly rather than put all the references at the end but this is a lot better than nothing. I passionately believe in this type of parenting (in my heart) but I really would like to make sure that the evidence is there as well (in my head). I just wanted to leave a brief message to you regarding the utility of this article. I found this article extremely useful and insightful, and specifically relevant to me. I am an adult now, but when I was in my teenage years I was diagnosed with Borderline Personality Disorder. My parents frequently made use of time-outs when I was a child, which I always thought was appropriate at the time and after. After being diagnosed and now doing a ton of research on the subject, I have found that parental behaviour that invalidates emotions (which essentially is what is being described as the common-practice for time-outs) is one of the major causes of BPD. This article helped me fill in more of the blanks as to why and how I developed this disorder, as well as some insightful comments regarding how to avoid creating unnecessary emotional turmoil for children. So – thank you. And I hope this can help others as well. Hi “X10Dior”, I am so sorry that this happened to you. Shaming and rejecting children is the most devastating thing we can do to them, and I am sad you had to go through it. I do hope that the therapy you are doing now is going to help you heal from those old and painful hurts. Warm wishes! Pat – time-outs are not illegal in NZ as far as I can see. In the debate of legislation their was discussion about whether physically removing a child could be interpreted as against the law, however the proponents said that this was a misinterpretation. Under the law you can use force to restrain a child. When so much of the debate is still about it being ok the smack and shame it feels like a long way for some sections of society to accept that time-outs are unproductive and damaging. Attitudes take time to change. So great work getting the discussion going. Hi Adriana, I looked on the internet, and I see that you are right. I do know that I saw that “time-outs” were made illegal somewhere in New Zealand about a year ago. But I think it was in “early childcare centres”, or in other words, pre-school. That is a small first step only, as it seems that in NZ older children are still subjected to time-outs. Thanks for pointing it out, and let’s hope things will change soon. We are only now getting laws passed in South Africa that children may not be hit by their parents (hitting at school has been illegal for some time), so small changes are happening, but we can only hope that they will happen sooner, and for that to occur, people need to start to understand how children think and feel and what they are capable of understanding. At the moment that is not yet understood by most parents and teachers, so much education of parents and teachers is needed. Thank you for putting it so clearly Marilyn. Time-outs usually happen when there is a “mommy-melt-down”. Today’s parents are often under huge pressure, but when they can take the time to calm down, they can be there ever so much better to meet their little ones’ needs. Being abandoned, as you say, is terrifying to the child, especially when they need us to help them with those great big feelings that are tearing them apart. Loving connection at that time heals the hurts, and leaves everybody feeling ever so much happier. This article makes a very large assumption: That ALL time-outs are punishment and a withdrawal of parental love. It also assumes that a short, age appropriate time-out prevents your child from communicating their distress. It also doesn’t define “time-out.” A time-out does not require a child to be isolated. 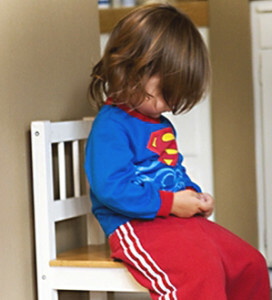 A time-out is often the parent and child going off to a corner or other room together. If the child still can’t calm down and needs to be left alone in their room for a short time, will the child really be emotionally damaged if the parent reassures the child of their unconditional love and acceptance when the child has calmed down and the parent returns a short time later to address the behavior? Does the time-out research address that variable? Does the research address the emotional state of the parent when the time-out was instituted? Were they yelling? Were they firm, but calm? This article assumes that a parent can’t institute a time-out while staying calm in the face of a kid’s poor behavior. I believe a time-out does not have to be a punishment, but a way to remove the child from the thing triggering their poor behavior and an opportunity for a child to calm down until they can rationally express what is bothering them. Then it’s my job to listen, address their concerns and communicate two things: Behaving poorly will not get you what you want, but communicating in a respectful way will get my attention. Obviously, all relationships and situations are different, but I fear that this article could encourage a level of permissiveness that leads to narcissism. Human beings whether they be children or adults should not learn that poor behavior will get them the attention they desire. Hi Terence, I hear you and your concerns. I agree with you that not all time-outs are bad, if they are “time-ins”. When children are upset we need to calm them, as you say. But the thing is that children cannot calm themselves (most adults can’t either actually). To be calmed, we all need to be held, listened to and allowed to express our feelings — children even more so than adults. I noticed you repeatedly used the words kid’s “poor behaviour.” When children are upset they can’t express themselves rationally, and their behaviour is not “bad behaviour” or “poor behaviour” but a valid and often desperate cry for help, the only way they know to ask for it. We can give them that help by holding them, listening to them, and reflecting back to them that we hear them and understand what is upsetting them. Allowing them to cry and express anger is an important part of this process. This is because outward behaviour is only a symptom of what is going on inside. So when children misbehave we need to understand that they are hurting, and the best way to help them with their hurts is to make a safe place where we can stay with them, help them release their hurts, and deal with the underlying needs and feelings that are driving the behaviour. When children feel safe because they know we will always stay with them and help them work through their hurts, they are able to calm down and they become a pleasure to be around. But it is our totally accepting love and understanding of their underlying needs and feelings, and not reacting to their behaviour that gets them there. When children are happy and relaxed their behaviour is always good, because if the connection between us and them is strong and they are sure of our acceptance of “all” their feelings, they always want to please us and behave well. This is a wonderful piece and thanks for sharing it. No time-outs don’t create better behaved children. What is a better behaved child ? Every child reflects what it sees around them and the influences on their lives — be it positive or negative. I have 3.5 yrs full time parenting a now 4 yr old boy as described above. No “naughty steps” “time-outs” etc etc, ever. I use empathy, understanding and kindness. It works. Sometimes he just needs a hug, someone to sit on the floor; to cry with him and see the world thru his eyes, sometimes he needs to kick a football to release the pressure and sometimes he can sit and talk things thrpigh (the older he gets the better he is at verbalizing his worries / fears / disappointments etc). Sometimes I need those things too! Kids just want to be heard, to make decisions, to be allowed an input and to have it validated — to feel as though they belong in a world in which they largely go unnoticed. I find it is much harder to parent in this way, a real conscious effort, but the rewards are far greater (he’s never had a melt-down as such, and I hate that phrase). Hi There Martin! What a delight it is to receive a comment like this… It lovely to know that other people are raising peaceful children. I love the way you are handling your little ones. I especially love it that you allow your son to cry, with you 100% with him when he needs to cry — that is how we all heal from hurts and at the moment this is not yet widely understood. Bravo! Yes, like you say, “Kids just want to be heard, to make decisions, to be allowed an input and to have it validated.” They also need to have their feelings validated (all of them) because at this tender age (up to about six or a bit later) they are not able to put their feelings into words very well, and try to communicate them though their behaviour, though as you say, getting the kind of support you are giving, they do learn to put their feelings into words with time. Most importantly they learn to feel safe to do it, knowing you will accept their feeling and not punish them for having them. You mention Robin Grille’s book “Parenting for a Peaceful World”. Yes, it’s one of my favourite books too — I can’t remember how many copies I have bought to give to friends, and one enlightened young medical doctor has actually created a workshop on it that she gives to parents. I gave it to her, and a few months later she was going through it for the third or fourth time! As a therapist who works with parents of children with behavior problems I have to say that I find this article and the comments that follow to be very invalidating to parents who struggle with kids with problem behaviors. Many children, for a wide range of reasons, have disruptive or unmanageable behaviors. Parents spend so much time trying to figure out how they failed as parents and I think that is so destructive. Granted, the parents have probably been making many parenting mistakes as they have tried to navigate the often scary waters of parenting a willful, adhd, or traumatized child but they are not usually willfully ignorant. By saying that a child who has some behavior problems has not been properly shown love or attachment you are saying that parents have done something just horrible. In the parent training that I teach we use time outs. They are considered a mild form of punishment. They are never used as a time for the child to “think about what they have done” or “cool off.” Time out is the withdrawal of attention as a punishment, that is true and if you feel that children are going to be damaged by this I say to you don’t use it. But sadly, most parents that have a child with behavior problems have been using punishments that are TOO harsh and TOO extended and the time out is a real reduction in punishment severity. Parents praise through the entire process to shape behavior and if the child chooses to not go to time out a privilege is lost for the day and nothing else is said about it. Of course, time out would only be used for things like aggression and destructive behavior and only used along with the positive opposite of that behavior being rewarded when it is occurring (even if we have to set up role playing for the child to get it right so we can reward). But, for families that struggle with kids that really beat up their siblings and destroy things there are parenting issues that need to be addressed including attachment and invalidation but you have to give them some tools to step down from spanking or taking everything every thing the child owns away. Punishment, in general, should be rare and mild. I think the views expressed here are interesting and a wonderful discussion with a lot of great information! Hi Leigh, I hear your concerns that parents who are struggling to cope might feel helpless or guilty for using time-outs as a last resort. First I think it’s great that they are looking for ways other than hitting and some of the more violent punishments we were subjected to as children. But any kind of punitive discipline causes pain to the child and an emotional “disconnect” or adversarial relationship between parent and child. So I would like to teach parents about non-punitive discipline, because it is so much more effective and keeps the parent-child love-connection strong, which makes children want to please their parents. When children are misbehaving or acting out in unacceptable ways, it’s usually because they are frustrated and upset or some of their basic needs are not being met, so if we can get to the underlying needs and feelings, and help the child release the frustrations in other ways, with our support and encouragement, then we are helping them to learn how to process negative feelings without resorting to negative behaviour. That is a great life-skill to learn. I don’t want to write a whole article on it here, but there are lots of good articles on the internet and I will post a link to my favourite, where the parents set a boundary, and are then there for the child through the tears of disappointment that follow. They hold the boundary, but are always sympathetic to the child’s feelings, and listen to them with compassion and respect. After that they negotiate a solution. The correspondence below is interesting too. I hope you like it. “Time outs” can be downright dangerous. Studies have shown that they register as trauma in the brain, just like being hit or shouted at, and cause the same kind of brain damage as the child makes the stress hormone cortisol, which damages brain cells. “In a brain scan, relational pain—that caused by isolation during punishment—can look the same as physical abuse. Is alone in the corner the best place for your child?” ~ Daniel J Siegel MD and Tina Payne Bryson PhD.